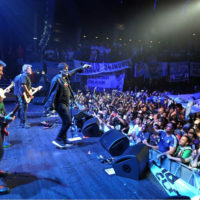 On June 20, 2018, the Argentinian band Los Pericos (vocalist - Juanchi Baleiron) performing music in the genre of reggae, ska and rock, together with the famous Argentinian rock singer Andres Ciro (leader of the group "Ciro y los Persas") gave a concert in the Moscow club "Izvestia Hall" for the fans of the Argentinian national football team. The concert was dedicated to the three events: the Day of the Flag of Argentina, the 20th anniversary of the tourist company "TIJE Travel", and, of course, the World Cup in Russia. On May 27, 2018 the Svetlanov Hall of the Moscow International House of Music hosted the only concert of the Armenian violinist-virtuoso from Spain Ara Malikian within the framework of the world tour “The Incredible Journey of the Violin”. 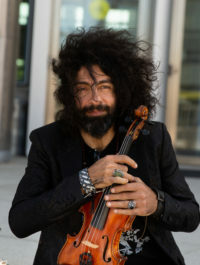 Ara Malikian in the company of the professional musicians performed classical world masterpieces by Vivaldi, Mozart, Paganini and other great composers, the fateful compositions of Led Zeppelin, Jimmy Hendrix, and David Bowie in the original interpretation, as well as his own works. The Russian public enjoyed not just an instrumental concert, but also became participant of a real show with humor and dances. Malikian's concerts are the break of template, the absence of boundaries and frames, live emotions and humor in combination with the unique technique of playing the violin. After 5 years, the famous Spanish singer and actress BEBE returnrd to Russia with a single concert and a new program CAMBIO DE PIEL, with which she had already toured with great success in Europe, the US and Latin America. The concert took place in Moscow on April 20, 2018 at "Izvestia Hall". For the metropolitan public, the long-awaited visit of the owner of the Latin Grammy was a real gift: almost two hours on the stage was created an amazing musical magic. BEBE with its inherent expression kept the audience in suspense, then immersing it in a delicate and sensual atmosphere with its lyrical compositions, then literally tearing the scene with a frantic drive and pressure. These contrasts were read in the image of the singer: for her performance in Moscow BEBE chose a tight dress of delicate cream color and opened a concert surrounded by bouquets of peonies, rattan chair, Armenian carpet, and supplemented her look with a brutal leather appearance and rough boots. The Grammy Award winner, six-time Grammy Latino Award winner, the multiple winner of the MTV Awards and MTV Video Latin America Music Awards, recognized star of the Latin American scene, Julieta Venegas gave her first and only one concert in Moscow on 25 Arpil, 2017 at a full "Izvestia Hall". The concert was held with the support of the Mexican Embassy in the Russian Federation and the Cervantes Institute in Moscow.